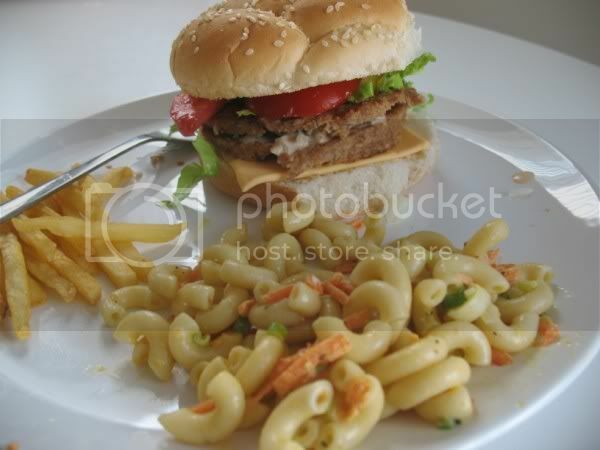 I made the delicious Tempeh Reubens last night, and they reminded me of Big Macs from long ago because of the dressing. So I decided to make a vegan, healthier version of Big Mac. We had baked fries and left-over Deli Macaroni Salad from VCON. I really enjoyed them! There's no middle bun, but it doesn't bother me. Also, I used one patty and cut it in half, but you can use two patties if you are pretty hungry. Saute veggie burger(s) in a pan with some oil. If using 1 burger, cool a little and cut in half so you have 2 patties. Not sure of the exact order as the real thing but I liked it! Mix ingredients and chill until ready to use. How awesome! I've always wanted to make a vegan Big Mac. Fancy Mac is a much better name! This would totally hit the spot. Awesome as always, Pamela! 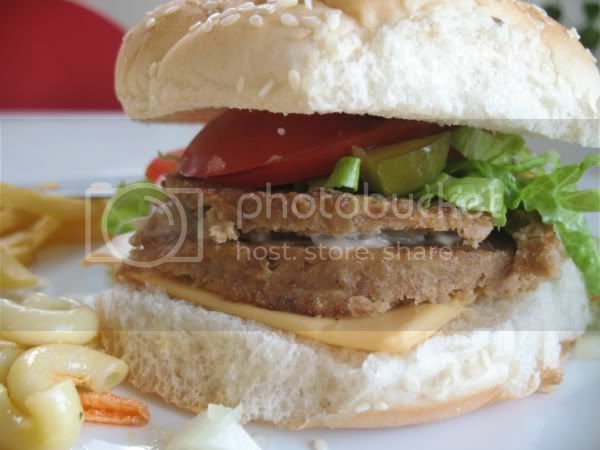 your big mac looks awesome! i made a big mac pizza a while back...it was amazing...your post makes me want to make it again!